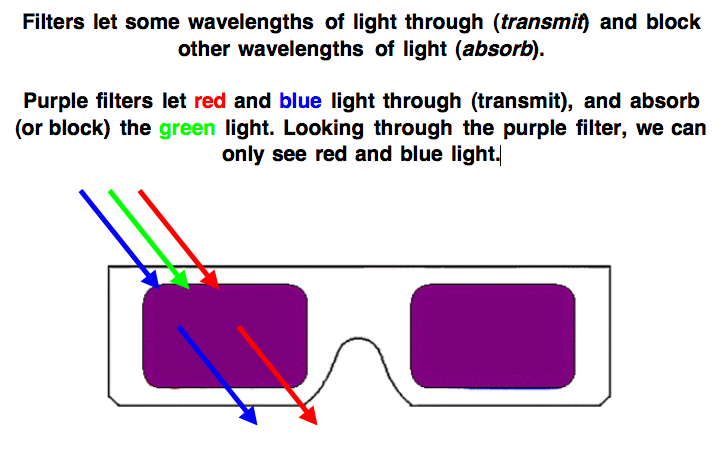 Filters let through (transmit) some wavelengths of light and block (absorb) other wavelengths of light. Purple filters let red and blue light through and absorb the green light. Looking through a purple filter, we can only see red and blue light.